Getting an early start on Memorial Day, we took off Friday afternoon, fought the traffic through Dallas, and joined the Wallners for dinner. 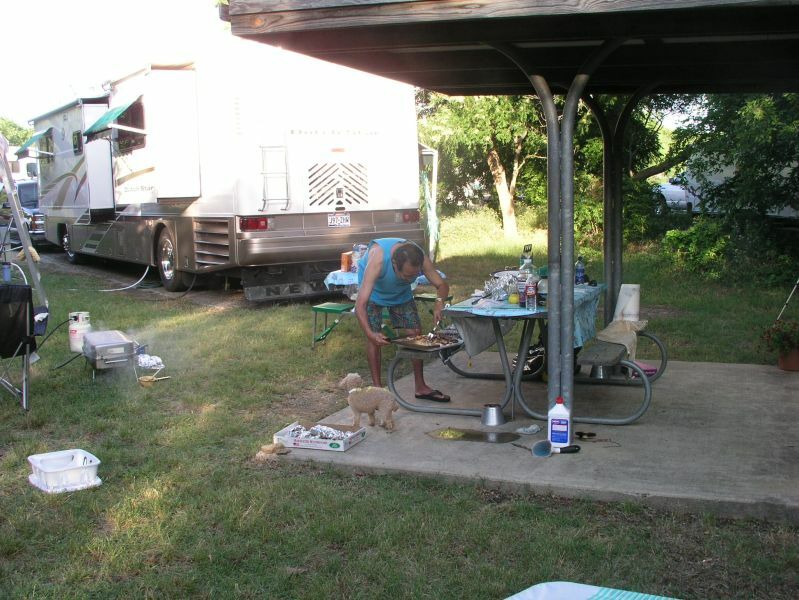 They were "camping" down at Joe Pool Lake along with Saki and a young Dutch couple, Thijs and Elizes Meijr, whom they "adopted" for the weekend. 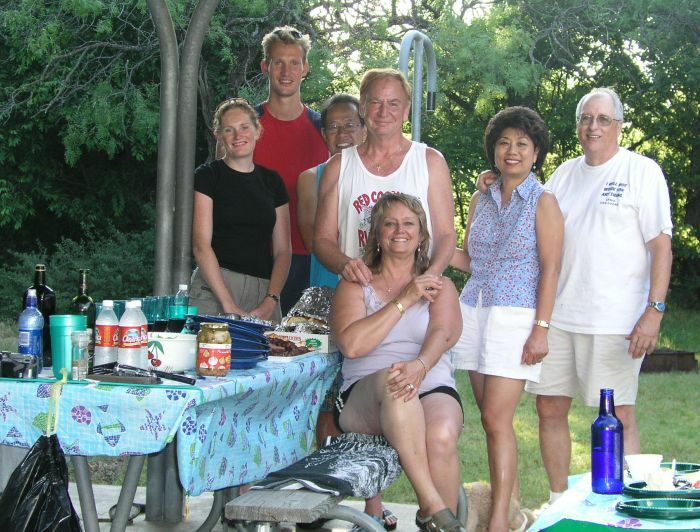 Thijs and Elizes are off to see the world, and after New York, Nashville, and New Orleans, they made their way to Cedar Hill Park! To put it mildly, we all had a feast! 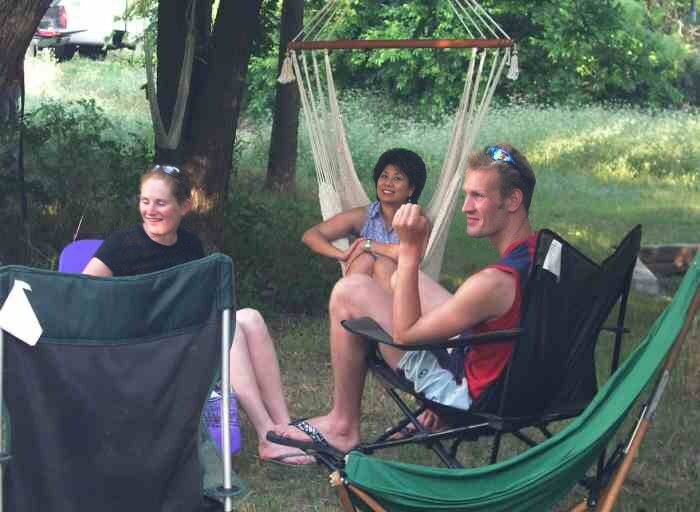 Here's Angie trying out Connie's hammock chair and discussing siteseeing places with Elizes and Thijs. Since none of us could pronounce his name correctly, we nicknamed him "Mr. T". Meanwhile Saki is cooking up a feast.